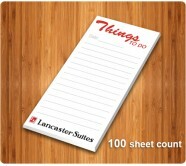 Custom printed scratch and notepads make powerful brand gifts during trade-shows or business events. 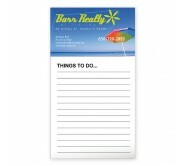 Promotional scratch pads and notepads find great pitch with people of various demographics and they will remind customers about your brand every time they use it for jotting down their random thoughts, appointments, quick memos, errand lists or to-do lists. 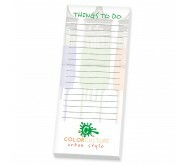 NotepadsDirect.com offers one of the most comprehensive selections of customized scratch and notepads. You will be able to find the perfect choice for all your needs on our website. You can enjoy benefits of 110% price match guarantee, free artwork assistance and free online design proof on all orders. We can ship to any location within the contiguous USA. Over the years, marketers have experimented with many small promotional gifts to build their brand awareness. All those efforts were partially or moderately successful due to their limitations. 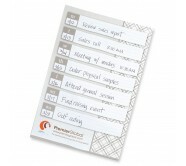 When it comes to custom printed scratch and notepads, people will happily retain and use them as often as they can. Nobody feels like throwing customized printed scratch and notepads away. Marketers who are new to the notepad advertising can easily rely on these customized scratch and notepads available in different sizes, sheet sizes and colors. Logo printed scratch pads and notepads make an awesome choice for an acknowledgment gift, individual thanking token, tradeshow giveaway, corporate gift, school giveaway and many more. These logo imprinted scratch and notepads are sure to get popular with your recipients because everyone has something to write and scribble. Even if there are mobiles, iPads and other reminder gadgets, nothing can match the emotional and mental satisfaction delivered by these customized notepads. 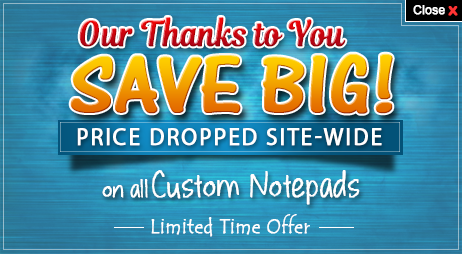 This is why these custom scratchpads and notepads are still heavily popular with the masses! Available in various prices, marketers can use these notepads or scratch pads for impression building during their first tradeshow or corporate event. Logo printed custom scratch and notepads can be included within corporate gift baskets.They also make great employee holiday gifts or tradeshow giveaways. You can easily toss away the cheapest promotional items that you have been long relying upon in favor of these popular promotional scratch pads and notepad. 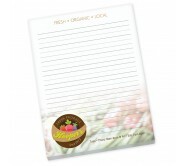 We can print these customizable notepads or scratch pads with your brand logo in full color. 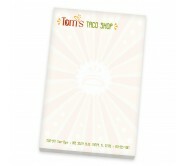 We are one of the largest suppliers of custom imprinted notepads in the USA. Our team works closely with marketers who are trying to understand their needs and mitigate their requirements. For questions, feel free to give us a call at our tool free number 855-866-8372 or email your requirements to info@NotepadsDirect.com.